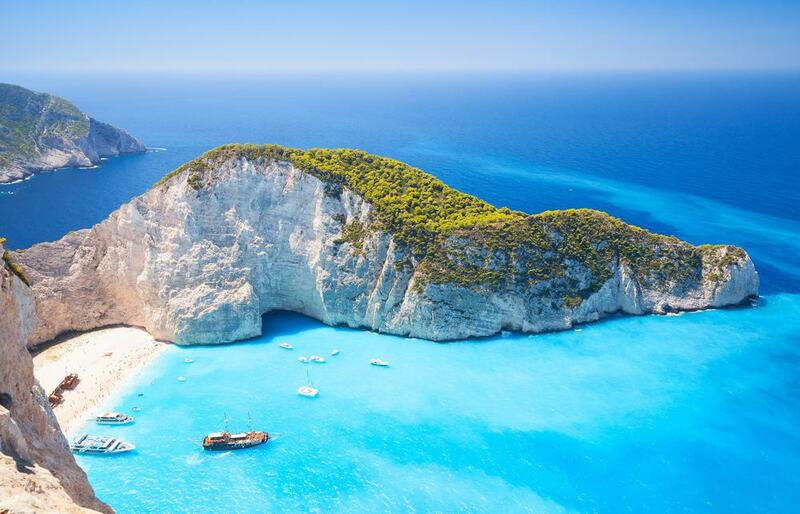 If you are heading to the Aegean this summer and looking for some beautiful spots to visit, the world’s leading travel platform TripAdvisor has just announced the 10 best Greek destinations according to the 2019 Travelers’ Choice Awards, based on reviews by millions of travelers worldwide! 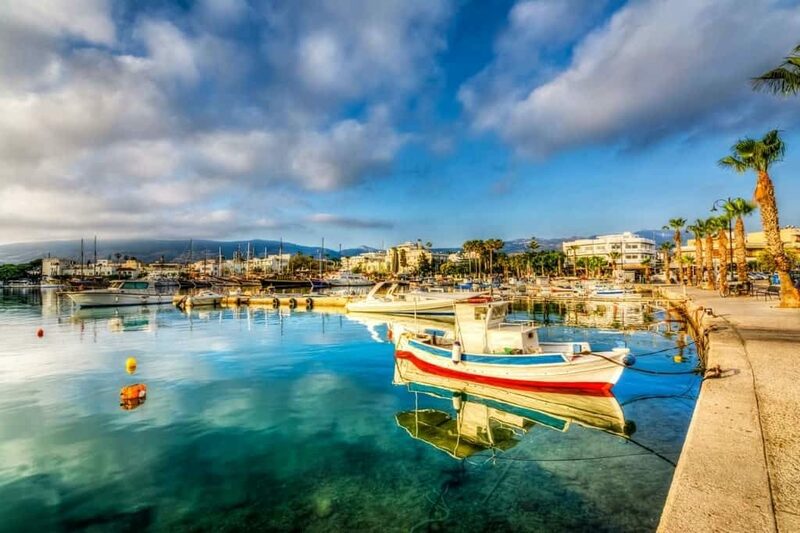 The birthplace of both the king of the Olympian gods and of modern European civilization, Crete is a Mediterranean jewel. It’s rich with archaeological and mythological history that’s reflected in its ancient ruins and cultural attractions. 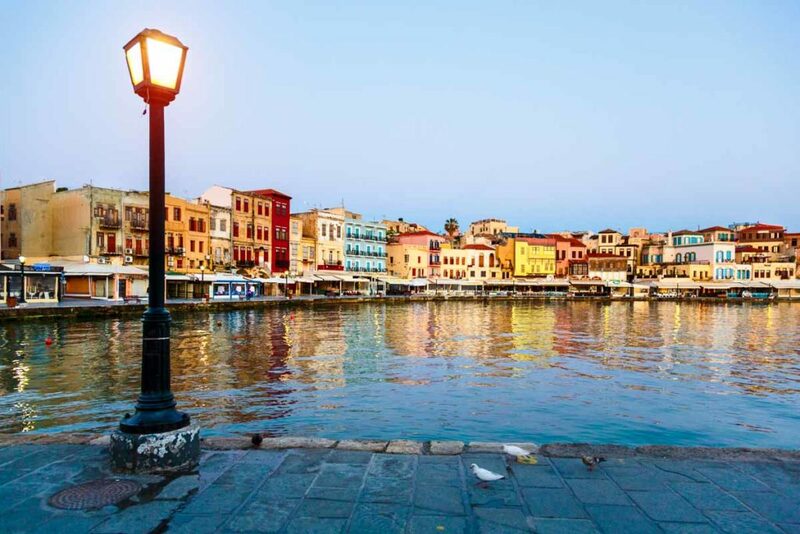 Soak up the charming atmosphere of Chania Town’s Old Venetian Harbor or the fortresses and monasteries of Rethymnon. The awesome Minoan ruins of Malia date to 1900 BC and majestic Mt. Ida is said to be home to the cave where Zeus was born. Even if you’ve never been to this Cycladic island in the Aegean Sea, you’d still recognize it immediately – candy-colored houses carved into cliffs, sapphire waters, gleaming white buildings topped with half-spheres the color of a stormy sky. Here you’ll find peace as you roam the black sand beaches or the streets of a provincial village like Imerovigli. 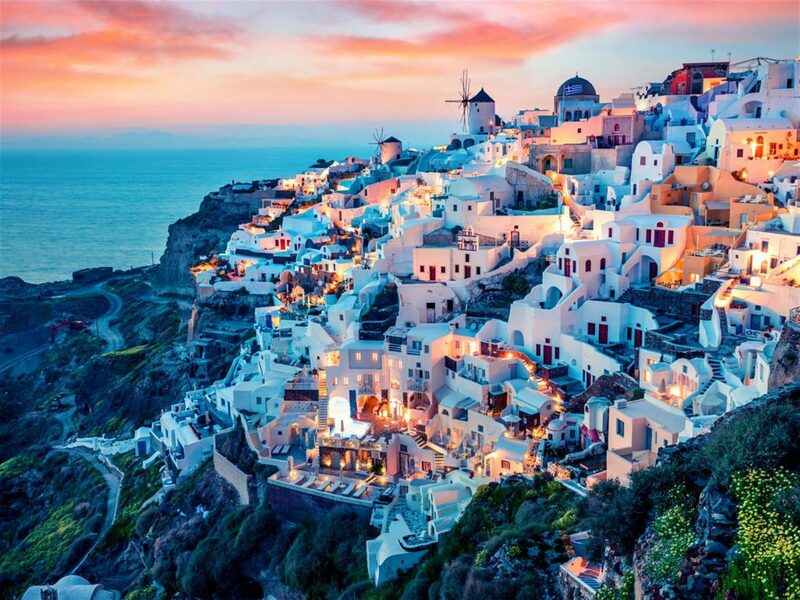 Beautiful Oia is world famous for its sunsets, which seem tinted with every shade of an artist’s palette. The largest of the twelve Dodecanese islands on the Aegean’s eastern edge, Rhodes is also its most popular. The well-preserved medieval city of Rhodes sits at the north of the island of the same name. High rise hotels line the northern and eastern coastlines. Small villages and resorts dot the island’s other shores. Whether your interests are beaches, bars or ancient sites, Rhodes offers an abundance of all three. Authentic Greece can be found in the hilly interior of the 50-mile-long island. 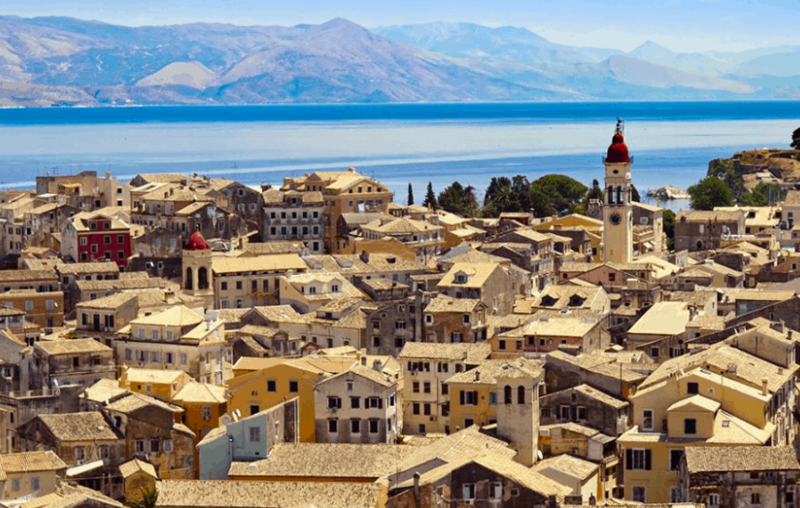 Corfu is studded with whitewashed houses, Byzantine churches, and the remains of Venetian fortresses and Greek temples. Wander the ancient streets of the Roman village of Kassiopi or explore the central Esplanade of the eponymous Corfu Town. For a DIY spa experience, lather yourself in mineral mud on the shore of the Canal D’Amour. Legend has it that the waterfalls of Nymphes used to attract the mythological beauties of the same name, who would flock to the village to bathe in the pristine waters. 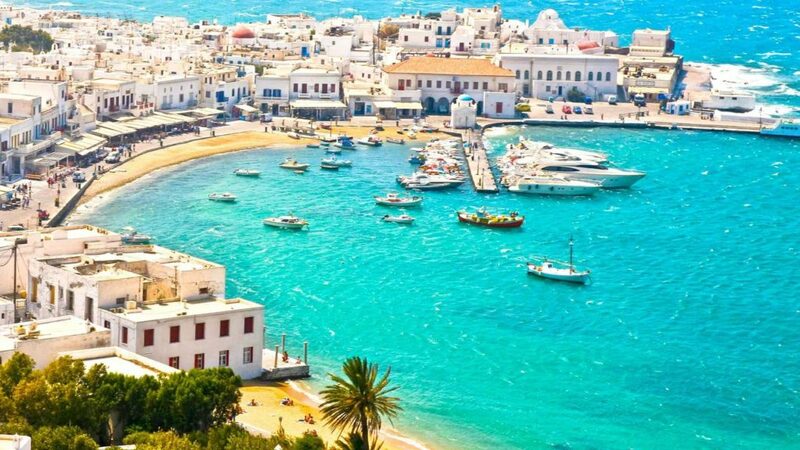 If the mention of Mykonos doesn’t immediately bring to mind bright white buildings, turquoise skies and tanned bodies lining golden sandy beaches, you’ve been living under a rock. The most popular Greek Island in the Aegean Sea is all about energy and attracts a diverse and upscale crowd that thrives on its stylish nightlife. During the day some privacy can be had in the more secluded north beaches, but the south beaches are all party. Ski, jet-ski, windsurf, horseback ride, parasail or just save up your energy for the evening ahead, like most of your fellow travelers in Mykonos. Spotless parks and streets, an ultra-modern subway, new freeways, an accessible airport and all signs in perfect English make the city easily negotiable. 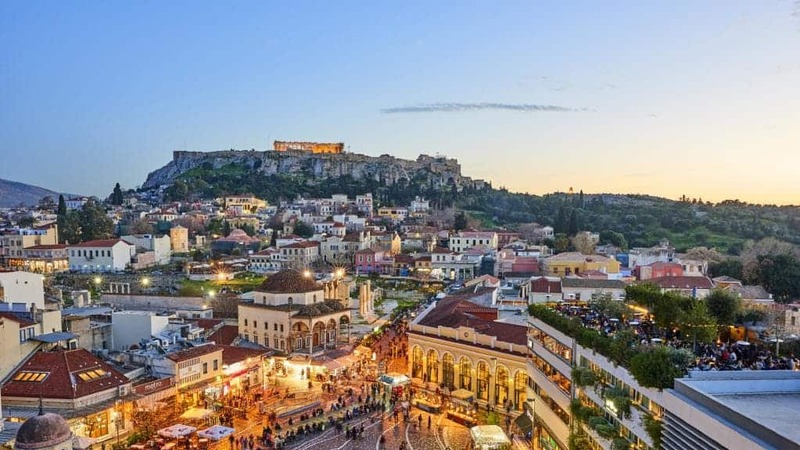 Meriting more than a stopover en route to the islands, sophisticated Athens sites include many pillars of Western history, from the Acropolis to the Temple of Olympian Zeus, as well as treasures in the National Archaeological Museum. The Ionian Islands are splendid, cinematic paradise. The waters are bluest blue, the sands are achingly silky and smooth. Everything looks heavily Photoshopped. But that’s just Mother Nature, in all her unspoiled glory. Zakynthos is the largest of the Ionian Islands, and it’s as fruitful as it is beautiful, boasting a bounty of crops like olives and grapes. 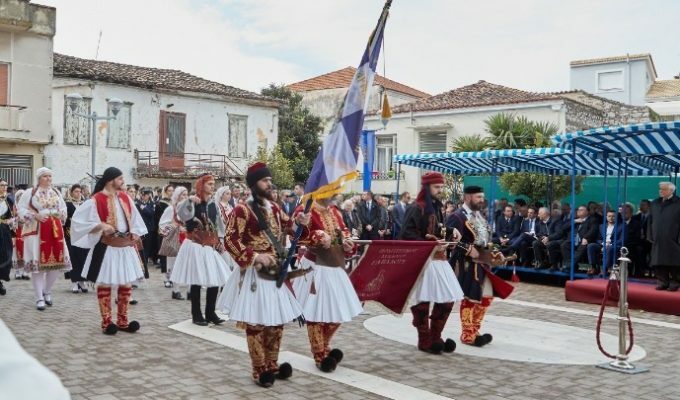 Music is a huge part of the local culture—you can catch a concert or festival almost any night of the week, and you’ll be captivated by the sights and sounds of Zakynthos performers. 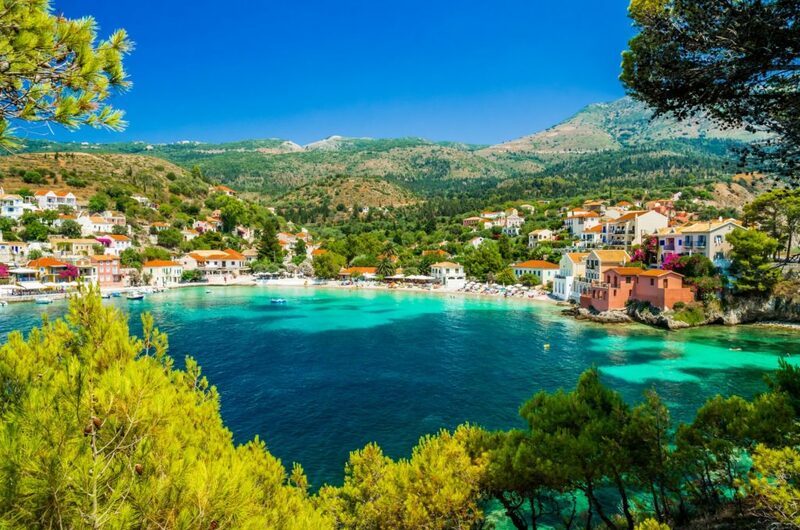 The sapphire waters of Kefalonia are steeped with history. The large Greek island was home to Odysseus, the legendary king hailed in Homer’s The Odyssey. Fortunately, it won’t take you ten years to get there. Explore the enchanting caverns of the Drogarati caves, sail to Ithaca on a glass-bottomed boat or marvel at the ancient artifacts inside the Archaeological Museum of Argostoli, Cephalonia’s main town. Or just hide from it all at one of the island’s many private beach coves. 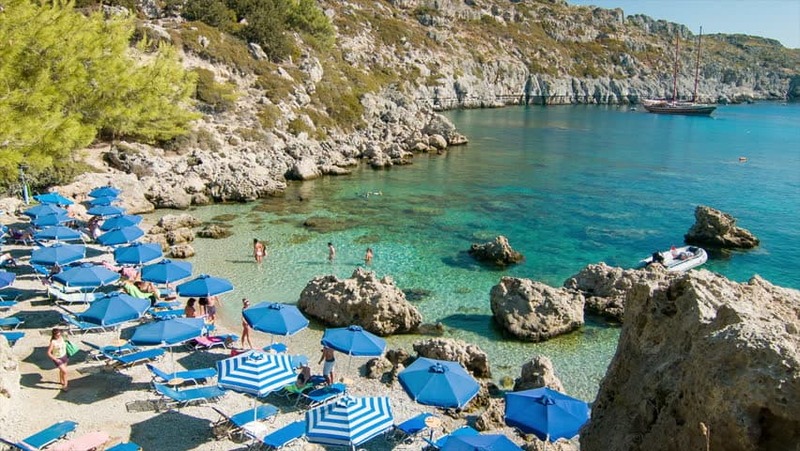 Kos, one of Greece’s Dodecanese islands, is known for its abundant sandy beaches. It’s also rich with Greek and Roman landmarks, particularly in and around Kos Town. 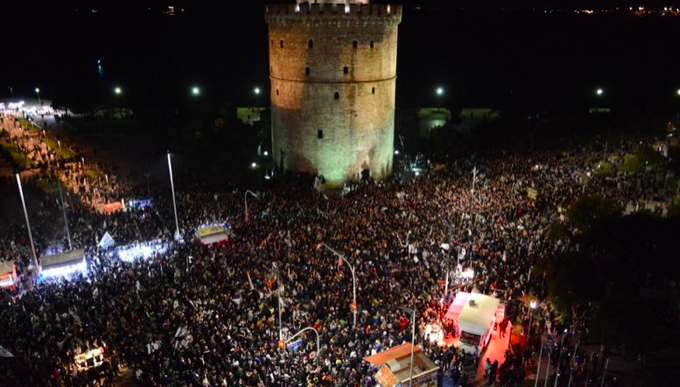 This harbor town is dominated by the 15th-century Neratzia Castle. 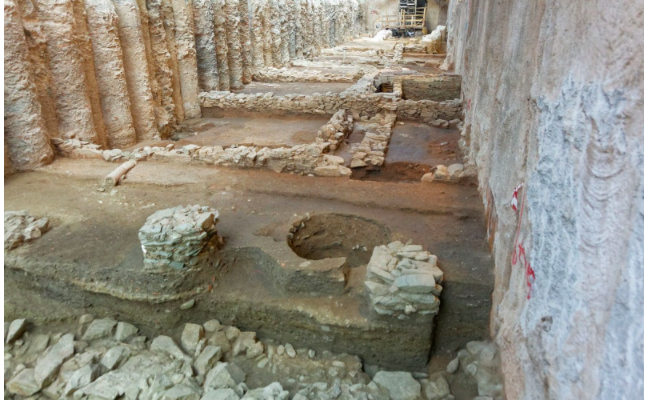 South of the castle are the Ancient Agora ruins, with a temple, shrine, and columns. The 3rd-century Casa Romana villa has lavish mosaics. A spot of white in the turquoise waters of the Aegean Sea, the island of Naxos is a unique blend of ancient ruins and beach culture. The largest of the Cycladic Islands, Naxos is the childhood home of none other than Zeus, king of the gods. Upon arrival in Naxos, hike over a causeway to Palatia, where the Portara, a stone gateway to an ancient temple that no longer exists, stands alone, the symbol of the island. At sunset, the views of the island, and the sea beyond are breathtaking.